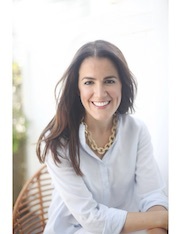 Non-Toxic Munchkin: Are Your Insulated Lunch Containers Exposing Your Kids to Lead? Are Your Insulated Lunch Containers Exposing Your Kids to Lead? A couple of months ago, news broke in the green bloggers blogosphere that a mom had found a "small dot" in their PURA insulated bottles that contained lead. A lot of lead. In fact, when lead advocate and blogger Tamara Rubin was called in to measure the lead with her special XRF machine (this is the same machine we used to test the lead on our walls and windows two years ago. You can read more about that experience here) the lead levels came back as 397,000ppm lead +/- 3,000 (note: there is NO safe level of lead. However Federal laws have set a limit of 90ppm in children's products... so 397,000 ppm is A LOT). Concerned parents wondered: if Pura insulated bottles could expose my child to lead, should we definitely stop buing PURA products? First of all, the only Pura product in question is their insulated thermoses. Their normal water bottles, that come in a variety of sizes do not contain any solders and thus have no issues. I have no relationship with Pura but I am a big fan of their water bottles (not the insulated ones, the normal ones) because they are completely plastic free. In fact their water bottles are still my bottle of choice for the kids and myself. Now, let's talk about insulated bottles in general. encased with a completely sealed metal cover. 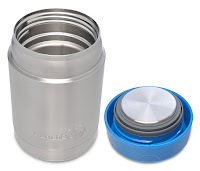 In fact, most insulated thermoses and water bottles that are made of stainless steel usually have this type of cover at the bottom (see picture), or a coat of paint covering the metal solders, so consumers have no direct contact with it. It was when the metal encasing popped off, inside the metal encasing, where the mom found the lead solder. For our family, it has proven quite difficult to get these metal covers off. You certainly cannot do it by hand. 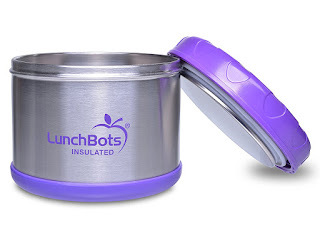 My boys have dropped their insulated thermoses a lot and the cover is still very tightly sealed (having said this, we do not have Pura insulated bottles we have Lunchbots: LunchBots Thermal 8 oz. All Stainless Steel Interior - Insulated Food Container Stays Warm for 6 Hours or Cold for 12 Hours - Leak Proof Soup Jar for Portable Convenience - Green ) . BUT, stuff happens and some consumers have had their covers in their Pura insulated bottles come off, and when it does therein lies the danger to children and disregard on the company's side. 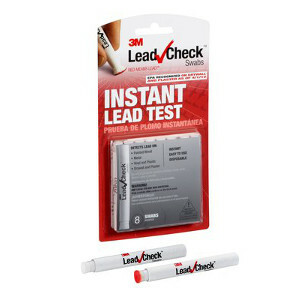 In my opinion, a product - especially one marketed to children and babies, should not have any lead. Not even in 'unaccessible' parts - because, if your bottle happens to be the one with the defect that has a cover that pops off you are obviously going to be concerned if your child is then exposed to lead - this is unacceptable. Unfortunately, according to the Natural Baby Mama, another local non-toxic living blogger, Pura is not the only brand that has lead in their insulated bottles. Do all Insulated Bottles/ Thermos' Contain Lead? Should I stop using insulated bottles? Luckily, not all insulated bottles contain lead solders. I tested an older thermos model of U Konserve that was broken (the cover was plastic not metal and thus cracked very easily) and it did not contain lead. How can you, at home, know which insulated bottles and thermoses have lead and which do not? You could test any exposed metal with an in- home lead detector kit, BUT it is safe to say that if your insulated bottle has a stainless steel cover that is intact you are safe and are not being exposed to lead. If that cover should come off, just to be safe, do not let your children use it. Contact the manufacturer since most of them will be happy to exchange it for a new one. Pura, for their part, told me " We are changing to lead free solder. To clarify, the solder point on the current bottle is covered by a permanent second base made of 0.5mm stainless steel. We have only had a few reports of this part every coming off (thousands have been sold). In most cases it takes tools to remove this base. Regardless, now that we are aware of the trace lead at the solder point we are changing it. 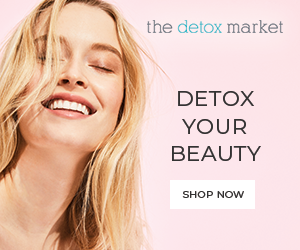 We began making this change the moment it was brought to our attention that if the bottle were to be taken apart there could be lead. " 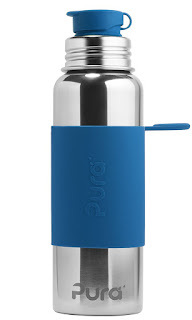 For more details on the lead found in the Pura insulated bottles click over to Tamara Rubin's blog. One final note: until we have stronger laws protecting us from any potential exposure to lead (or other chemicals) companies will continue to use toxic chemicals like lead, BPA, BPS, PBDE in products, even products for children and babies. When possible contact your legislators and encourage them to support reforming the current laws. For more information on what you can do, head over to the Environmental Defense Fund.